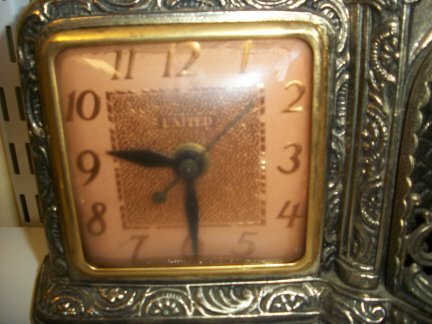 This is an electric clock made by United. 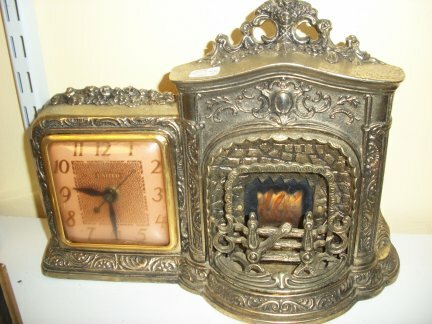 The theme of this clock is the fireplace, they made a whole line of electric clocks. 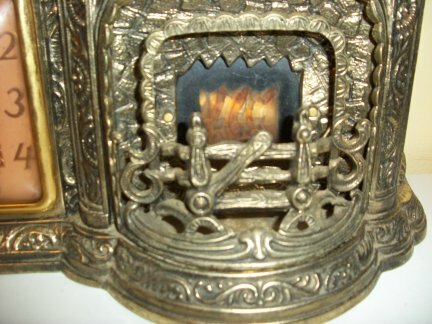 Close up of the fireplace.